OptimizeGoogle 0.79.1 Firefox addon is used in improving your Google search result. For example, it can add additional links that point to the search result from other search engines such as Yahoo, Ask and MSN. The OptimizeGoogle 0.79.1 extension was developed with the aim of improving the CustomizeGoogle extension that Daniel has created. The addon that Daniel created had been discontinued so this extension was created to replace it. OptimizeGoogle 0.79.1 can remove copyright information when you use the Google print feature. It uses https to open the Gmail and can block spams in your Gmail. It will provide the search result link for the image in the image search result. It can display the Google search word suggestions as well as the search result page number in the Google search engine. It helps in filtering suspicious spam sites from the search result. It can remove click tracking agents to prevent anyone from knowing how you navigate the web. The addon is also great for removing unwanted information in the search results. For example, you can use it to disable the advertisements in the Google search result. It gives you the ability to preview sponsored URL in the advertisements. You can use it to conveniently add your favorite links into the bookmark manager. Every single feature in the extension is optional. It is up to you to enable or disable the features through the settings. OptimizeGoogle 0.79.1 is compatible with Seamonkey version 1.0 – 2.0. 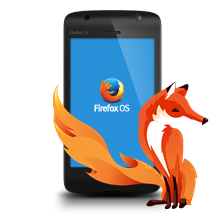 It is also compatible with Firefox browser from Firefox 1.0 to 4.0. You can now configure the preferences for all aspects of the Google search result. Previously, it only allows you to set preferences for per service.